"We could not fault the accomadation or the owners,we where made very welcome on arrival and through out our stay." "Very clean and well maintained apartment. Good kitchen facilities. Big main bedroom. Very steep hill up from the Marina but great views you would not otherwise have, so worth it! Friendly and informative welcome from the owners. Small washing machine in bathroom a bonus." "We,a norwegian couple and our grandson of ten, had a very pleasant stay here. Short distance to sandy beaches, both private and public. After a short drive we could visit charming towns like Suvereto, Massa Marittima and Castiglione della Pescaia. The flat was clean and nice. A large and peaceful garden with shadowy trees where we could relax and the boy run. The owner was very nice and gave us good information about what to see and what to do, where to dine and so on." Località splendida, tranquilla, servita, spiagge e mare bellissimi e di tutti i tipi e per tutte le esigenze. Cordialità e ospitalità ottimi. Locali per mangiare bene e a prezzo giusto ce ne sono tantissimi (eccellenza al "Fortezza" di Castiglione della Pescaia). Appartamento ottimo sia per dimensioni che per servizi e pulizia, l'ospitalità del proprietario e dei suoi genitori da evidenziare. Grazie ancora Andrea, anche per i consigli sul territorio. Unico neo il posto macchina riservato che manca e non sempre, in alta stagione, si trova vicino all'alloggio. 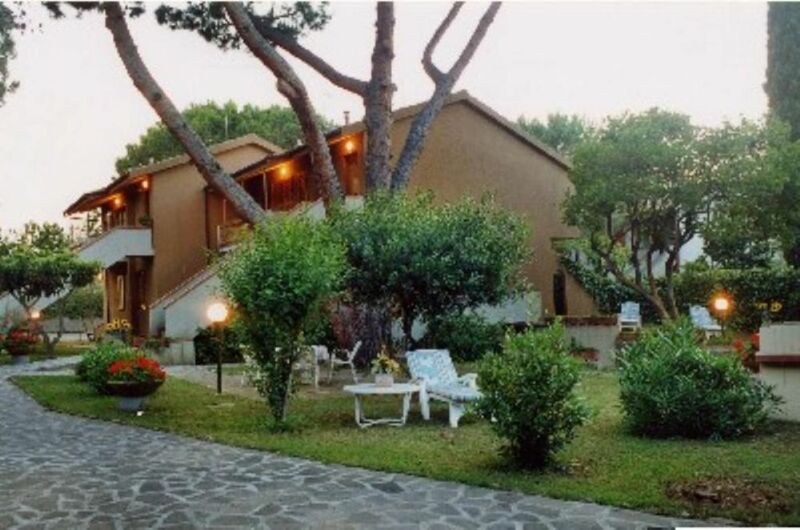 Grazie per la bella testimonianza, sono molto contento che abbiate apprezzato la nostra casa e soprattutto che sia stata una bella vacanza per voi all'insegna del mare e del relax. Grazie a voi per le bellissime parole di stima ed apprezzamento al nostro impegno. Sono molto contento che abbiate trascorso delle vacanze piacevoli e che abbiate trovato i ns. appartamenti ancora meglio di quello che vi aspettavate. Un saluto affettuoso a tutta la vostra famiglia. Grazie per la vs. recensione, effettivamente noi teniamo molto alla pulizia dei ns. appartamenti ed alla cura del giardino, vi ringrazio molto anche per l'ordine con cui ci avete riconsegnato la casa. From NORD of Italy GENOVA - PISA - motorway until ROSIGNANO, after you go in direction GROSSETO-ROMA until the town of FOLLONICA EST, exit and follow indications PUNTA ALA - CASTIGLIONE DELLA PESCAIA, if you arrive from SUD Italy - ROME - you follow indications for CIVITAVECCHIA - GROSSETO, when you arrive in GROSSETO you follow indications for LIVORNO and you go out at the FOLLONICA EST and follow indications for PUNTA ALA - CASTIGLIONE DELLA PESCAIA, after 8 Km.c.a you arrive in PUNTONE at the traffic lights, you find RESTAURANT -PIZZAERIA LE COSTIERE and the PHARMACIE, after the PHARMACIE you go immediatly on the right and you follow indications for HOTEL PARCO DELLE CALE, when you arrive in front at the Hotel, you stop and you go on the left in VIALE DEI CIPRESSI at the n° 12 you find on the right the apartment RED (ROSSO), if you go up for 500 m. you find VIALE BELVEDERE at the n° 13 you find the apartment AZZURRO. 800 metres The new Harbour ETRUSCA MARINA, at 800 metres bar, pizzeria, bread, restaurant, fruits, pharmacy,tobacconist's(shop). Our province is famous for the wine and the oil. Opportunity to rent boats.At 1,5 Km. the beach of PUNTONE, at 4 Km. the famous beach of CALA VIOLINA (between the 10 beaches more fine of Italy). 7Km. the famous PUNTA ALA. 15Km. CASTIGLIONE DELLA PESCAIA (Beach ROCCHETTE ), 20 Km. the town of MASSA MARITTIMA. 7 Km. the small town of SCARLINO. In the apartment you find other addresses for your holidays.